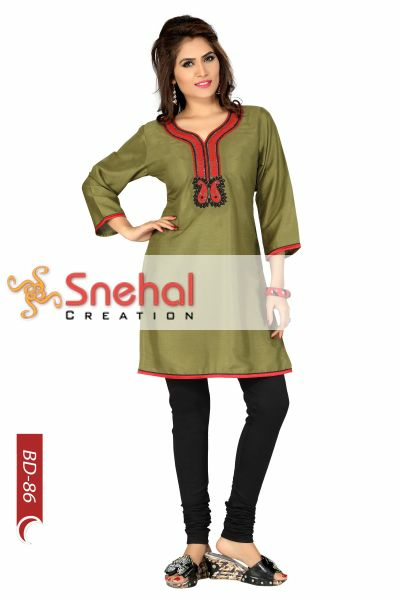 Bring out your inherent elegance and conquer the world when you wear this classy piece of ethnicity by Snehal Creations. This Casual Kurti comes beautified with attractive embroidery on the neck in black and red. The intricate design of the embroidery gives it a graceful appearance. 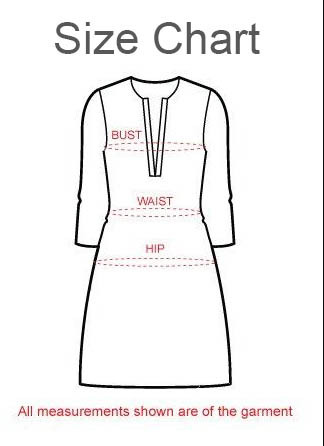 This Women Kurti has been tailored out of art silk and offers full comfort as an everyday casual wear option. 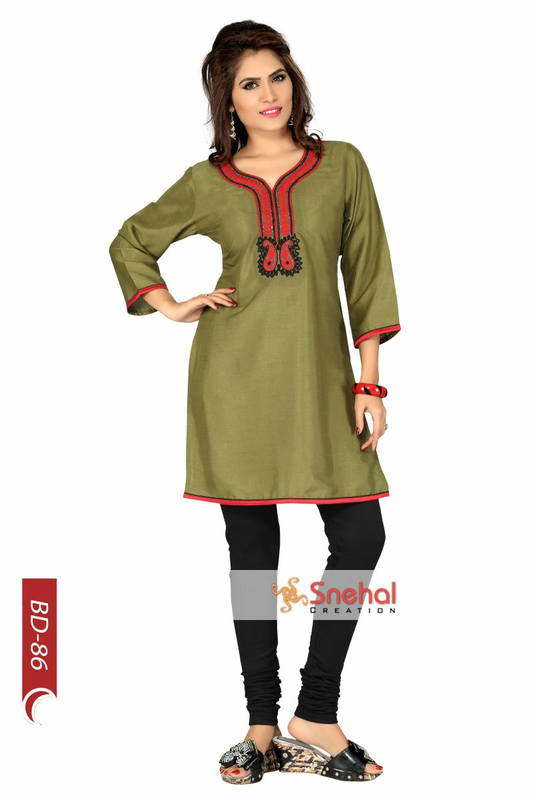 This kurti is flexible enough to be teamed up with a variety of bottom options and occasion.